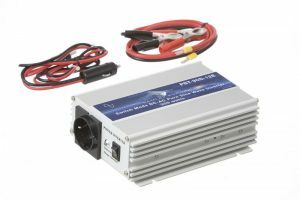 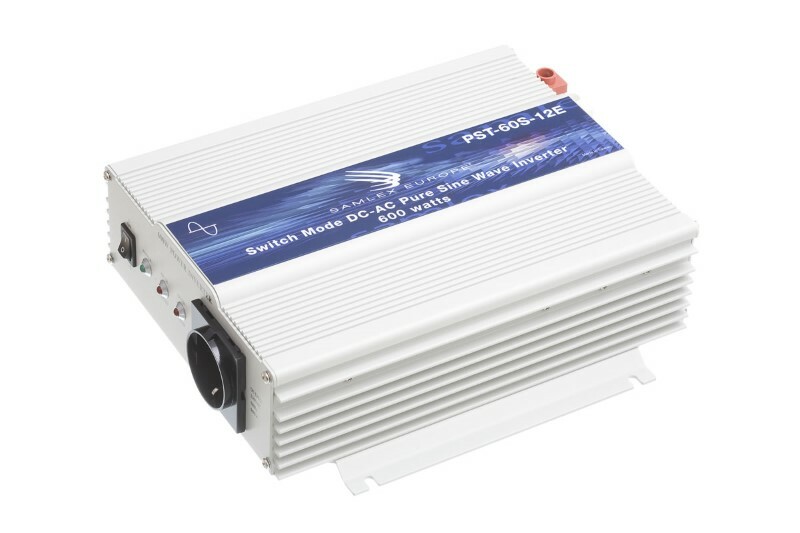 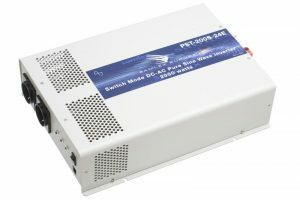 This highly efficient DC-AC inverter converts 12 Volts DC to 600 Watts of pure sine wave AC power at 230 Volts, 50 Hz. 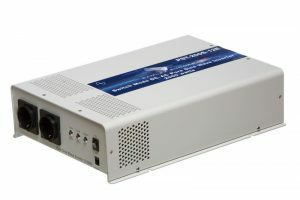 The unit comes with pin type battery cable lugs. Features overload protection, low battery alarm / shut down, low idle power draw of less than 0.5 Amps. 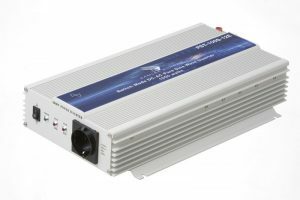 AC power is available from single standard VDE European outlet, accessible on the front panel.